Yesterday, I was discussing with an older friend of mine about what my plans for the holiday were. I told him that I had a couple of books on the brain, Vibrations and electricity to read. In the course of our discussion he mentioned something I strongly disagree with. He said “everything on earth is controlled by the supernatural”. Though I wasn’t able to totally convince him, probably because that was the idea registered in his brain but just hear me out first. I wonder why some people tag some aspects of science such as artificial intelligence, telekinesis, levitation, telepathy, mind-reading, etc as demonic. To me, they can be described as pure science whose researches are still going on. 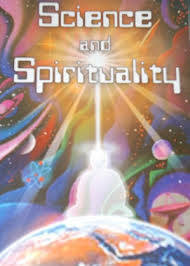 The word Supernatural is attributed to a phenomena that cannot be explained by natural laws and when I talk of natural laws, I am referring to a law of morality believed to be derived from human beings’ inherent sense of right and wrong, rather than from revelation or the legislation produced by the society. A natural law can just be summed up as a law that governs the behavior of natural phenomena. Science on the other hand refers to the sturdy of the “Physical” and “natural” world and phenomena, especially by systematic observation and experiment. That is the knowledge gained by the sturdy of “Physical” world. The greatest gift that was given to man by God as at creation is Free Will which is the power of independent action and choice. The ability to act or make choices as a free and autonomous being and not solely as a result of compulsion or predestination. When you do things of your own free will, you are not being forced by somebody or something else. In fact, that free will was given to us to the extent that man is able to decide whether or not to serve God and keep is rules while here on earth. To quite a number of people, my point of view may be fascinating because I respect the fact that there is a God who is a supreme being. If God actually controls every decision man makes, we will not be told to be perfect. We will be naturally wired to be perfect and do good here on earth and then there will be no hell and no book of life. God interferes only in situations and decisions he decides to. Since I have been able to make you understand that the supernatural doesn’t totally interfere with the physical, let us look into the bible once again. We are gods! Though we are under God and worship Him, we are still smaller gods. Therefore, if we create things that make life easier for us through the just use of science, we are not doing anything wrong. God said Subdue the earth. To subdue the earth means to forcibly put the earth under control. It means to soften the earth something. To make the earth less intense. easier for man and to make the earth work for man. In other to achieve this, we have to go through a careful study of the earth. That is where science comes in. I cannot totally say the supernatural has no effect on science. Let us take for example Telephones. I don’t know about your country but in my country Nigeria, some of our forefathers that were into the African Priesthood were already talking to each other from different parts of the world through the use of calabashes, white cloths and some incantations. in short, most of the time, it was a video call. The truth is if you as a religious man now used it with them then, you would have been said to have committed a sin against God but with time, man was able to create telephones and make calls this time, without sinning against God. Science has really been useful to man and I must say, there is a line between the supernatural and science. Man and Man ONLY control science. 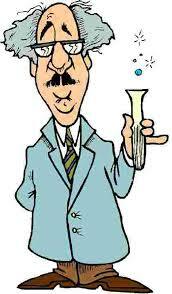 If anybody says an invention is ‘demonic’, as far as it can be scientifically proven, then the person is totally WRONG!